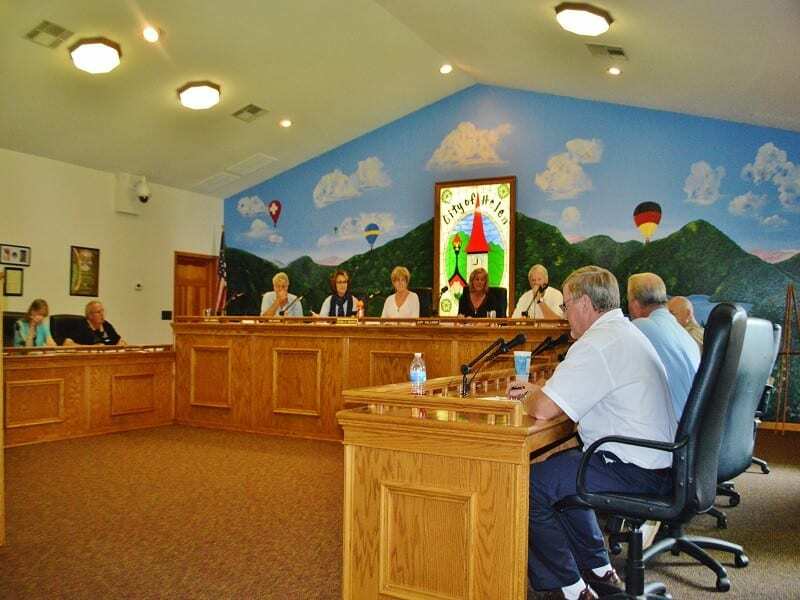 HELEN, Ga. – The Helen City Commission Tuesday tabled for further consideration a request for funding from the Helen Arts and Heritage Center. At the first meeting in April, the Center’s Craft Care Specialist Nancy Ackerman said the Center, which is manned almost exclusively by volunteers, needs funding to continue its work. She asked commissioners to consider funding of $20,000 for the remainder of this year and $30,000 for 2018. At that earlier meeting, disabled veteran William Reed gave powerful and tearful testimony about what the Center’s program for veterans had meant to him personally. Commissioners approved holding the 2017 Southeast Victory Rally from June 1 through June 4, and closing Narr Wegg Street during the event to allow running the dyno machine. Event coordinators had requested the event take place between 7 a.m. and 7 p.m. each day but commissioners decided 7 a.m. was too early to start the noise making dyno machines and set the hours at 9 a.m. until 5 p.m.
A request for a fence encroachment between Escowee Property Holdings, LLC and the City of Helen was unanimously approved. 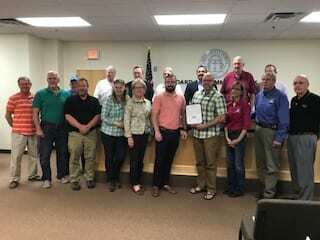 Commissioners unanimously approved a resolution authorizing a comprehensive adjustment to the fiscal year 2016-17 budgetary appropriations and held a second reading of an ordinance to amend the official code of the City regarding alcoholic beverages. City Manager Jerry Elkins provided a financial report that showed total revenue collected by the city is $2,438,869 as compared to $2,299,386 at this time last year. Total expenditure are also slightly ahead of projections. Expenditures for the first nine months of the fiscal year are $1,922,518 compared to $1,896,838 at this time in 2016.